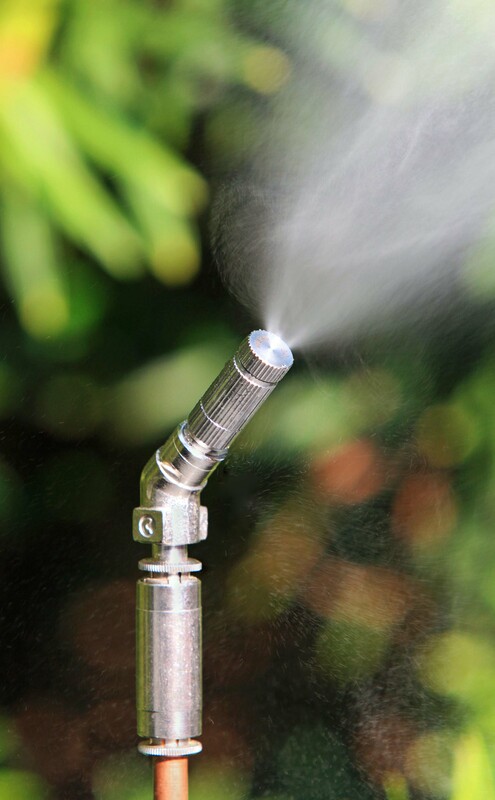 If you’re in need of a more continuous mosquito control option, or just want to keep all those small insects at bay, an automatic misting system may be perfect for your property. Automatically release a 30-second spray 2-4 times daily. Kill or repels mosquitoes and ticks in all treated areas. Helps reduce flies, ticks, fleas, gnats, midges and noseeum’s. Consist of inconspicuous nylon tubing that connects strategically placed, corrosion-resistant, nickel-plated, stainless-steel nozzles. Include a remote control allowing you to opt for additional or fewer sprays to suit your needs. Are automatically filled, serviced and winterized by Mosquito Squad so you never need to lift a finger. These are great for around your deck, patio or pool. Also works well in horse barns to keep flies and these disease carrying mosquitoes away from your animal! You control your Mosquito control! Mosquito Squad has always rewarded our customers for telling their friends and family about us, now we have up’ed the ante. You can use the $25 for your service or you can get gift cards to lots of awesome places. Go to ShareTheSquad.com and log in to see all the ways you can earn credits. Through this new site it will track all the customers you send our way and you can see these credits. Don’t forget when you refer a friend they also get $25 off their first service. So don’t delay, share today! Mother Goose Day is a celebration of classic nursery rhymes of long ago, that are quickly passing into the realms of history. Established in 1987, Mother Goose Day aims to promote pre-school reading and learning via nursery rhymes, and it is acknowledged across many cities, by establishments such as kindergartens, junior schools, cereal makers, libraries and care homes. There are various ways for adults and children to enjoy Mother Goose Day. Make a list of your favourite nursery rhymes, or try writing a rhyme yourself. Choose one of the nursery rhymes and act it out, or draw pictures to illustrate it. Alternatively, you can use printed colouring pages, and fill them in. You can also watch videos of nursery rhymes and sing along with the songs. Groups of children can also recite popular nursery rhymes, with everyone taking a turn to deliver a line. However you celebrate, enjoy the day.